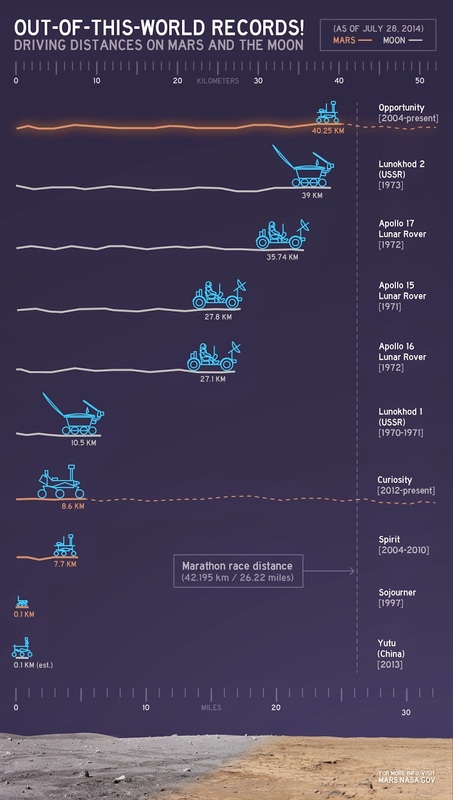 As of today, Mars Exploration Rover (MER) Opportunity has beaten the distance that USSR Lunokodh 2 rover traversed on the Lunar surface from January-May, 1973. This is now the longest distance travelled on the surface of a celestial body, other than our own Earth. More information here.